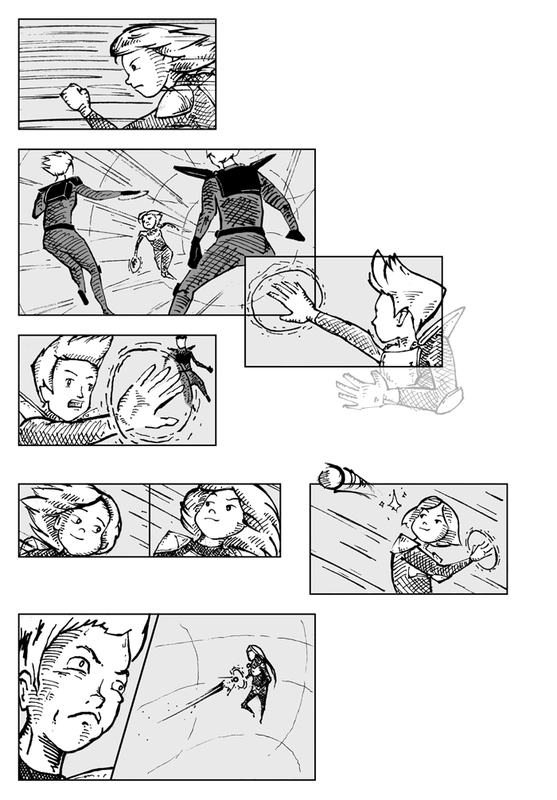 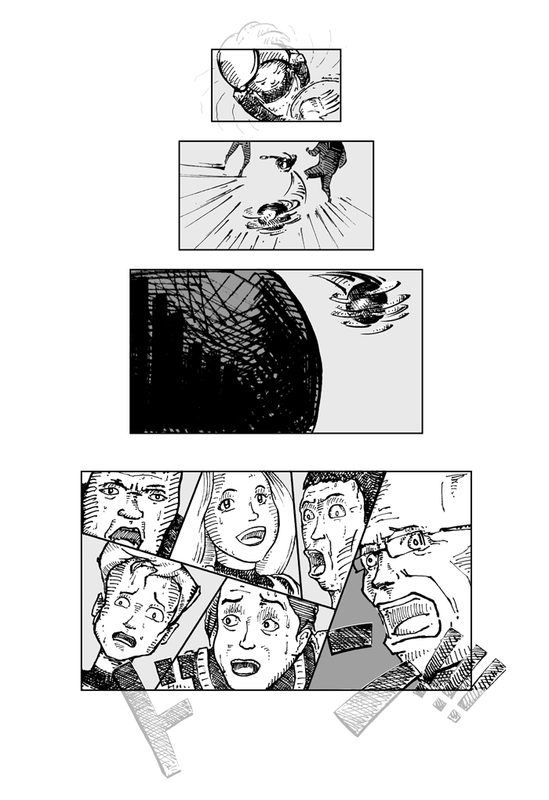 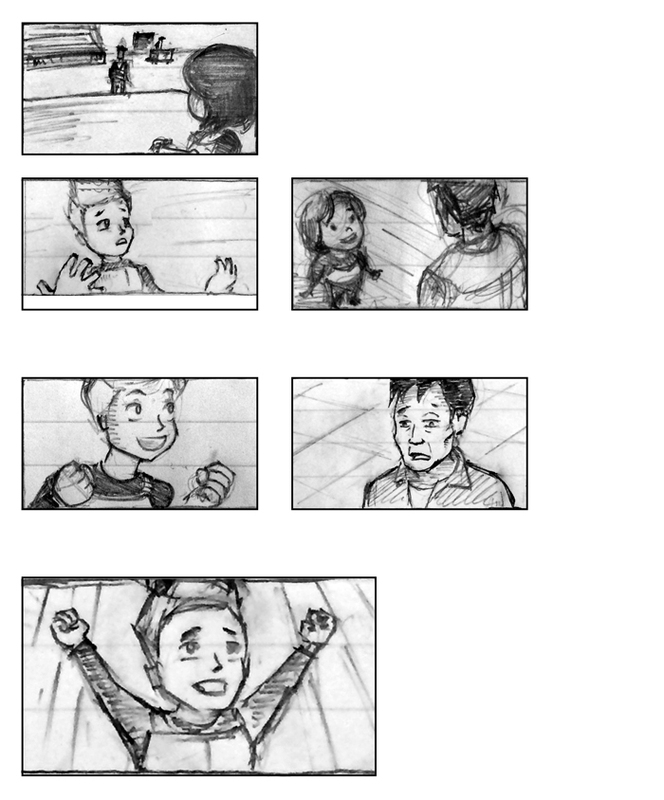 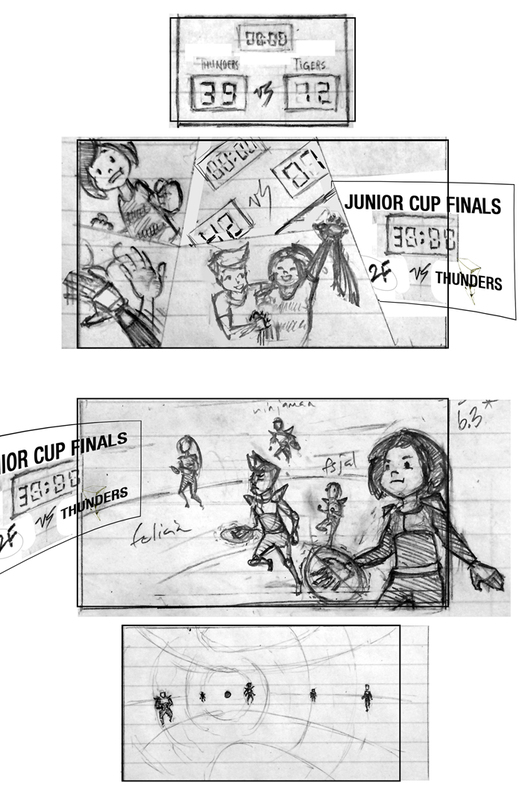 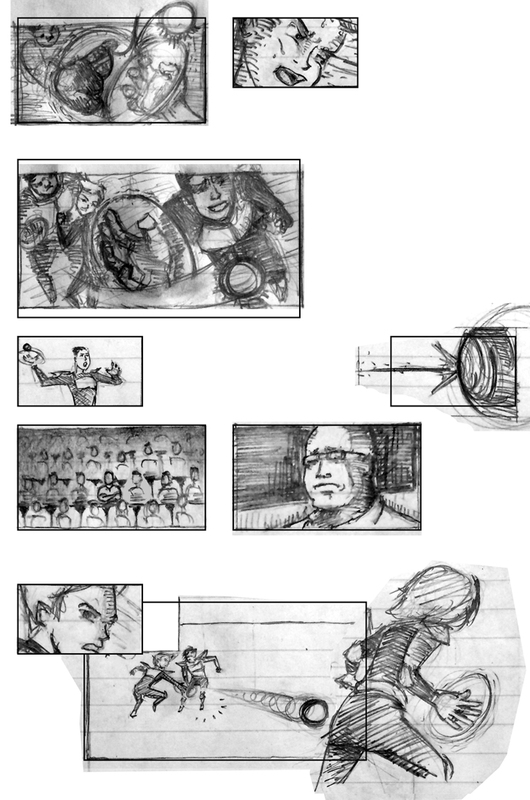 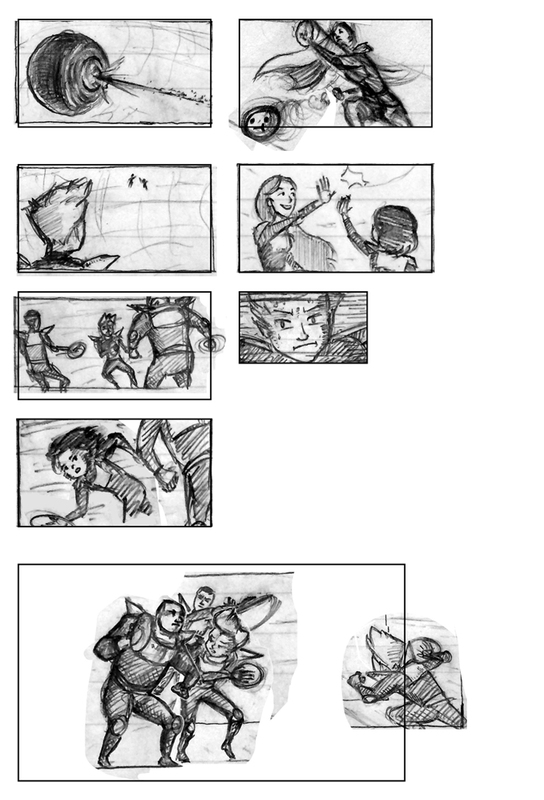 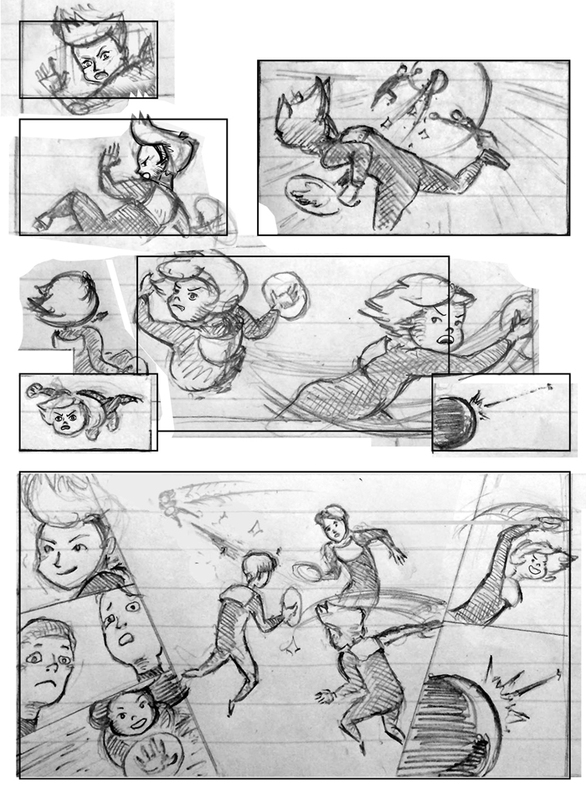 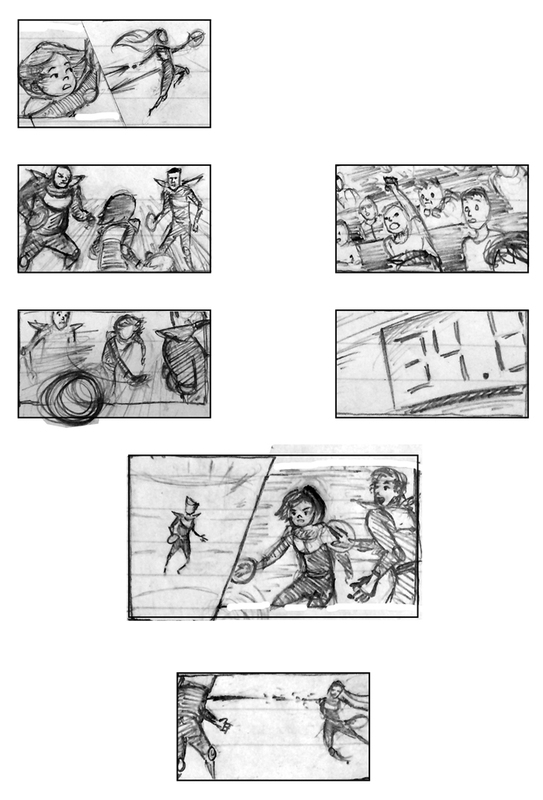 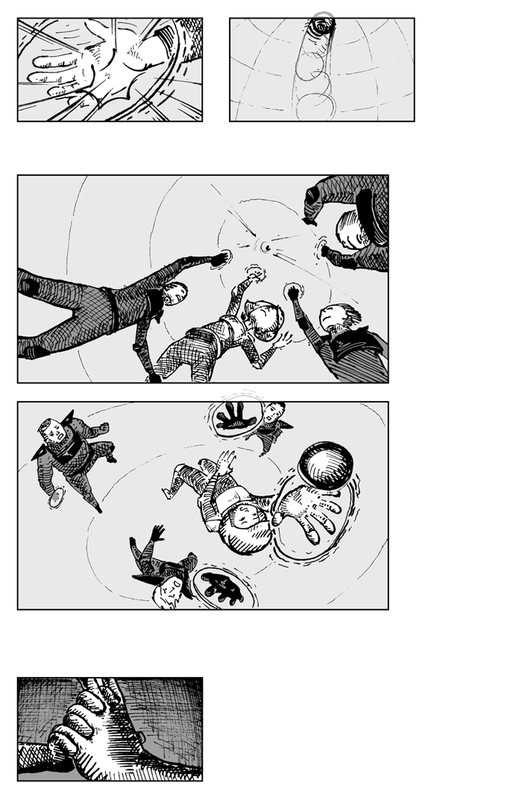 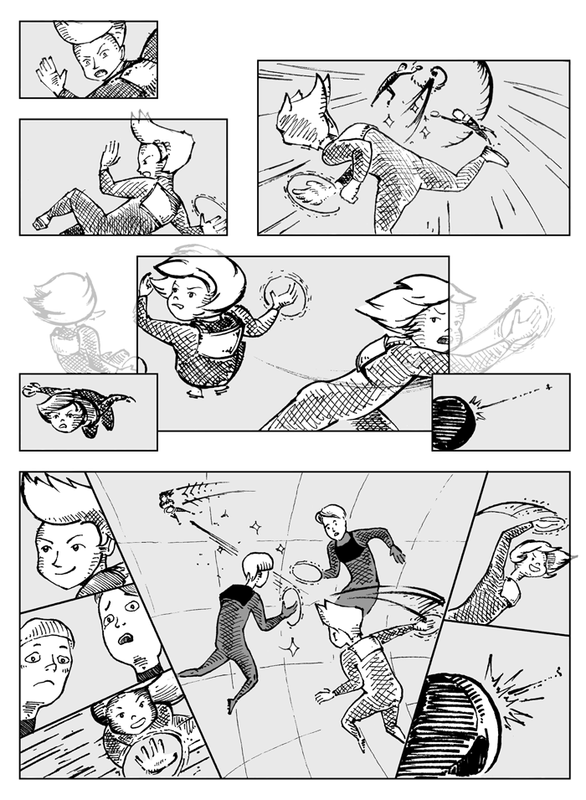 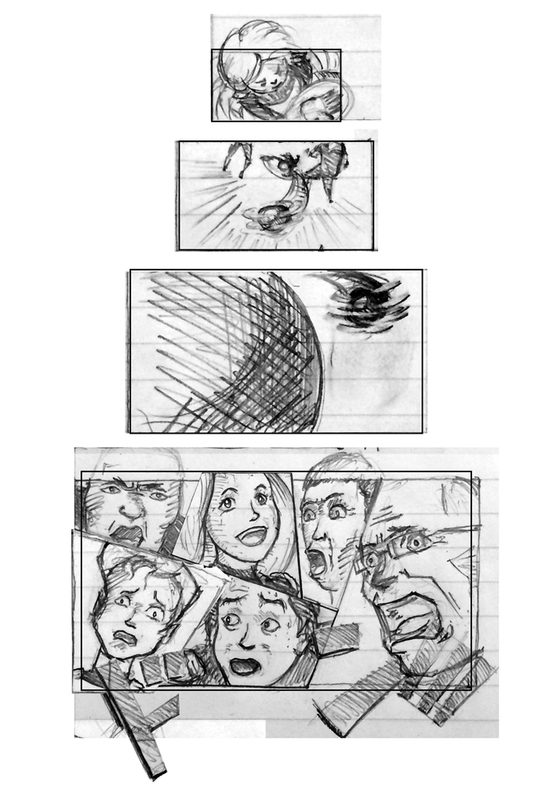 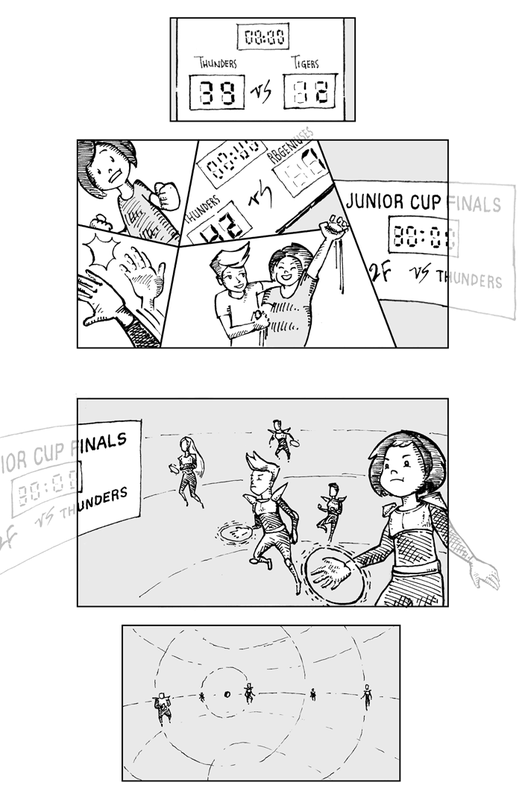 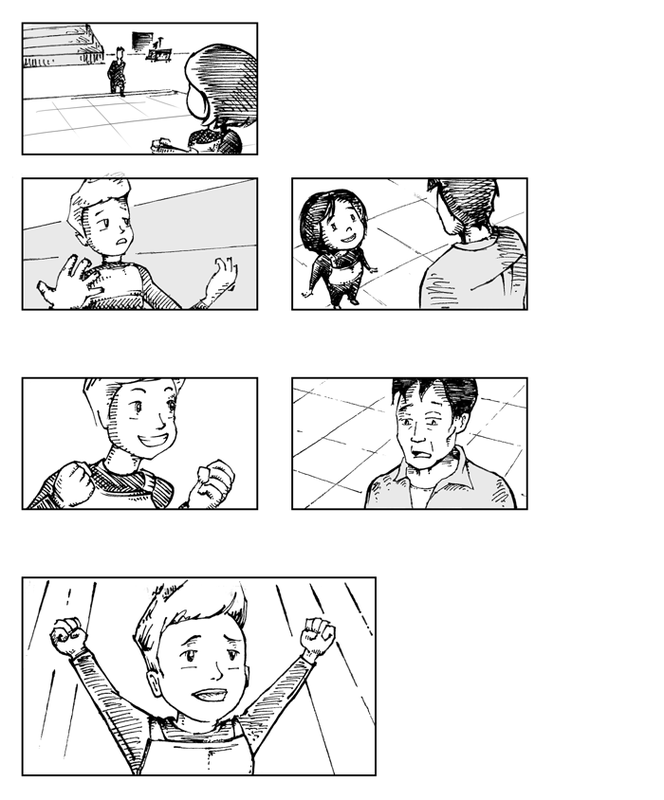 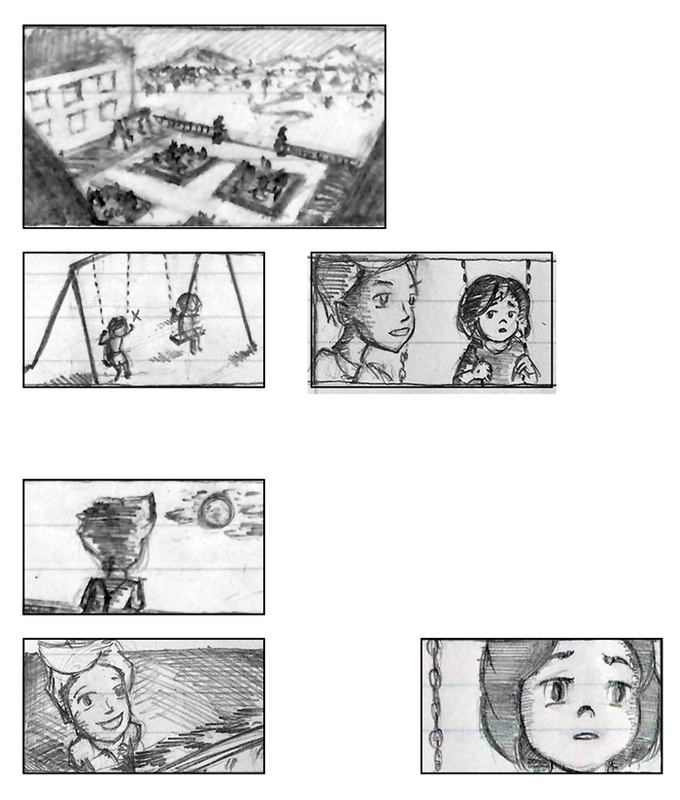 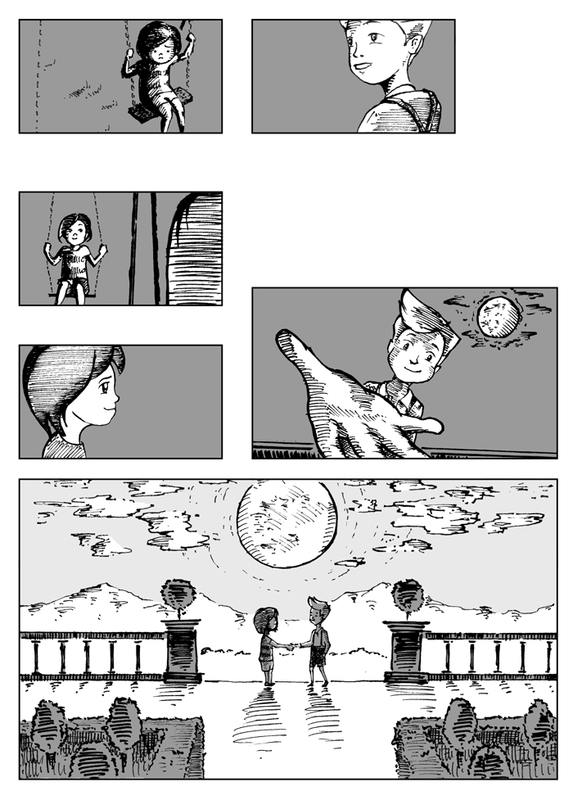 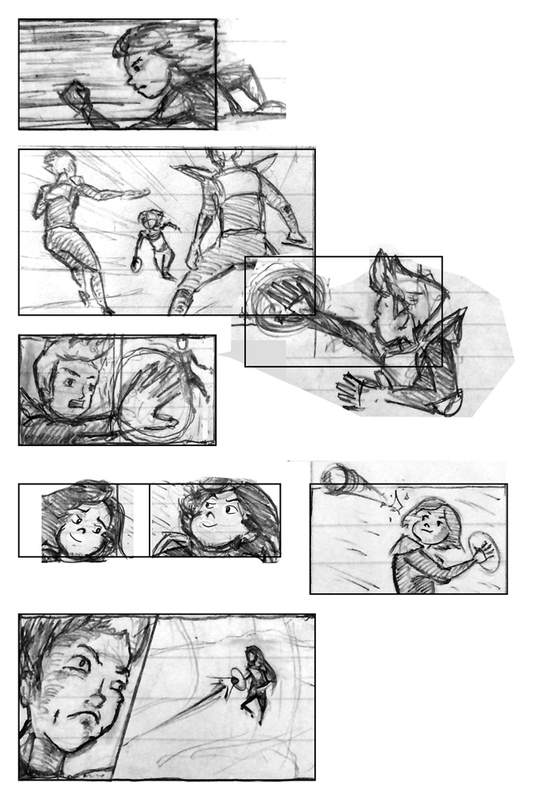 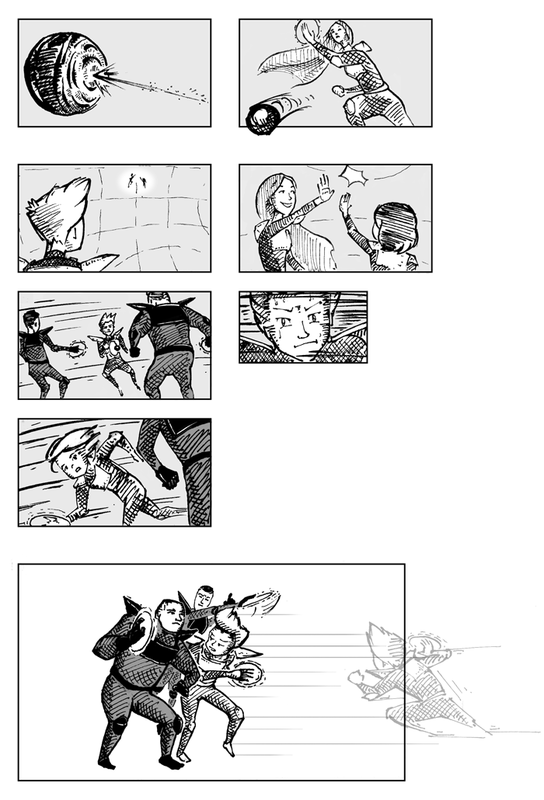 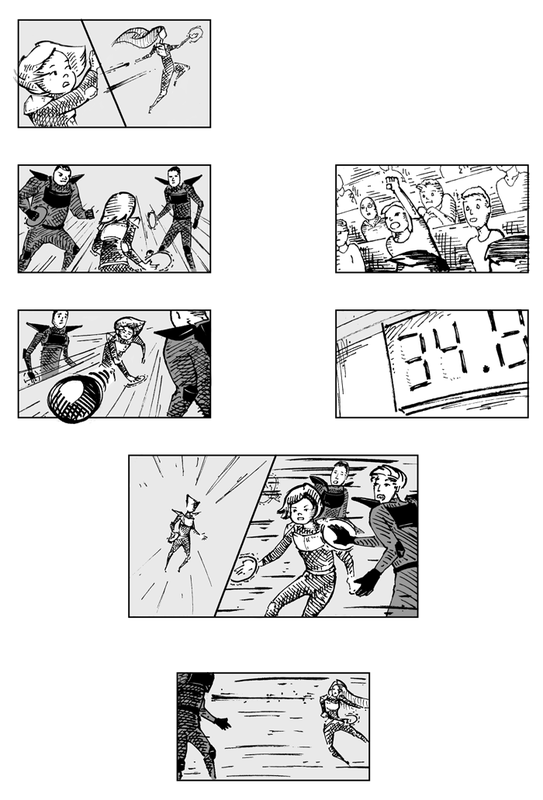 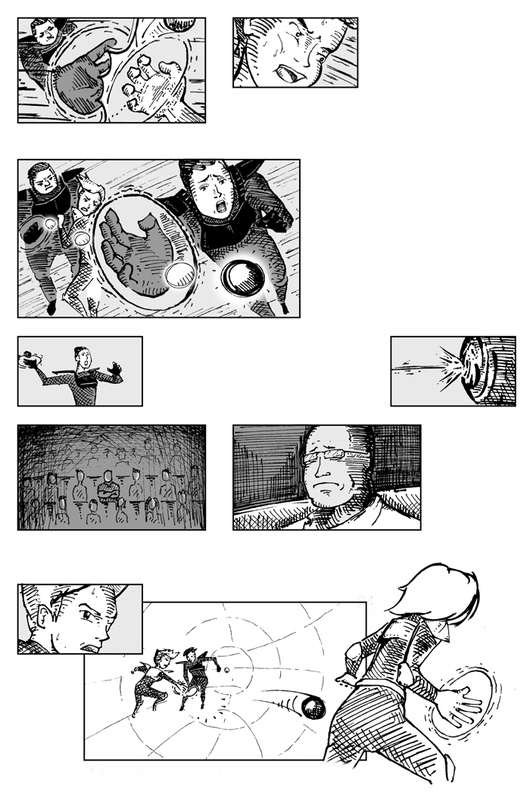 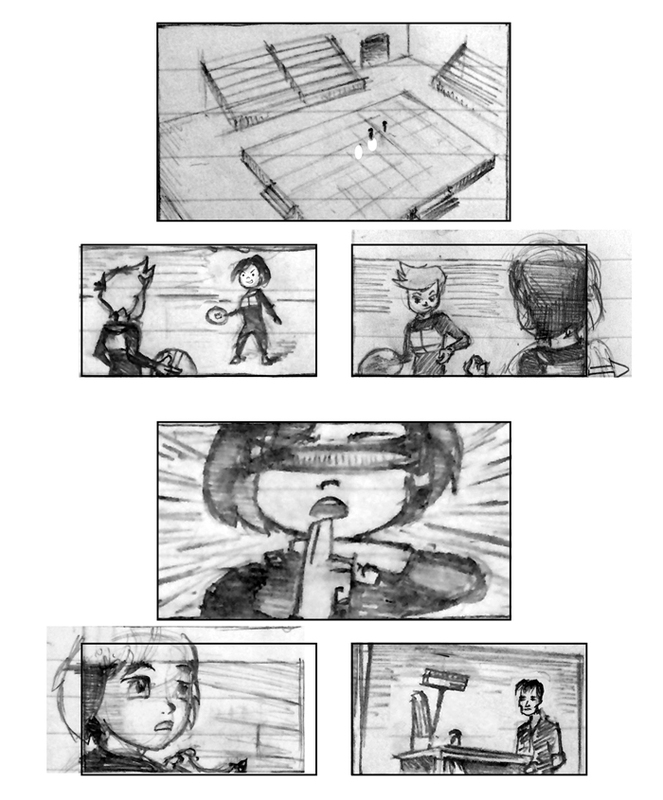 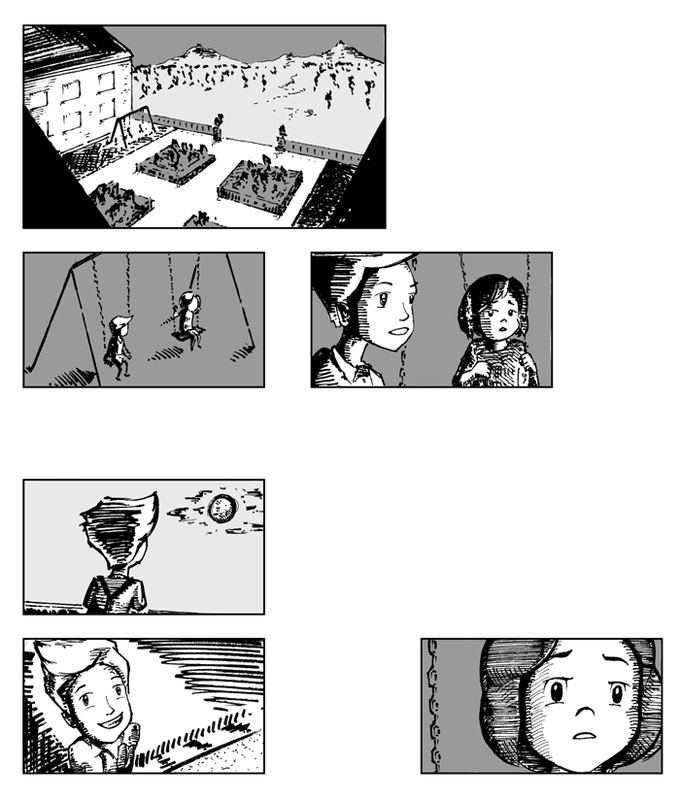 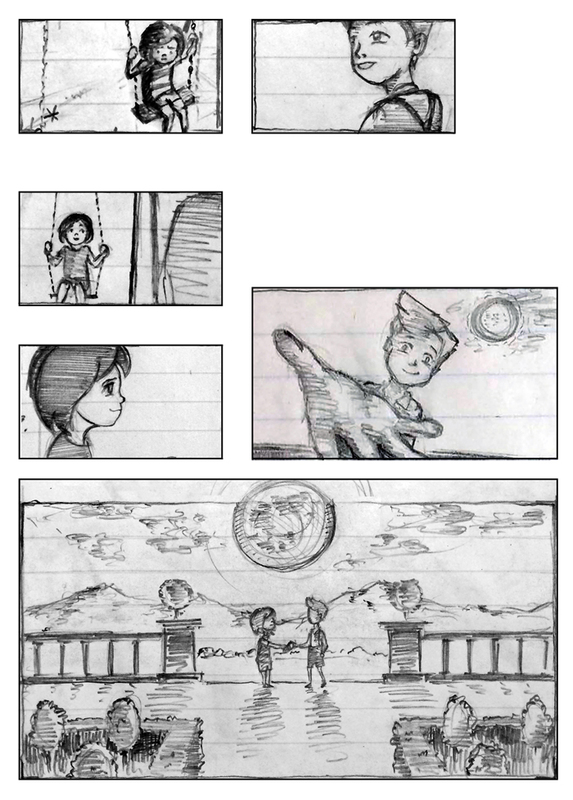 Flashback scene storyboards for Super Ricochet pitch. 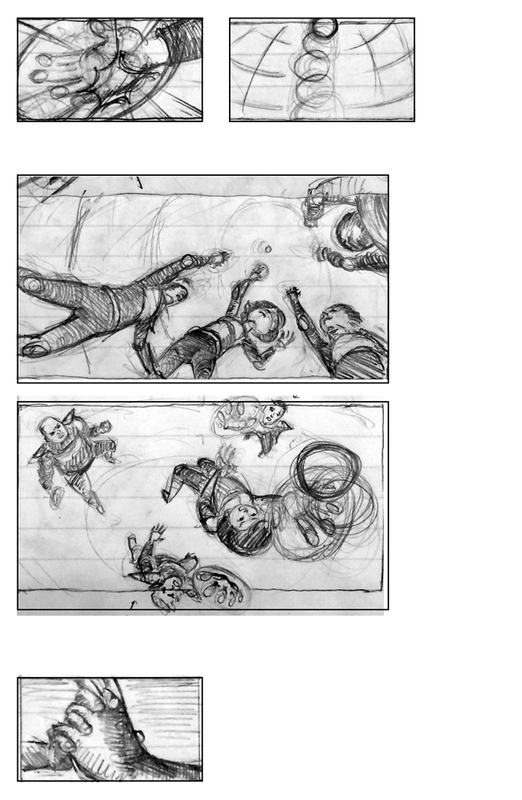 Mouse over each page for roughs! 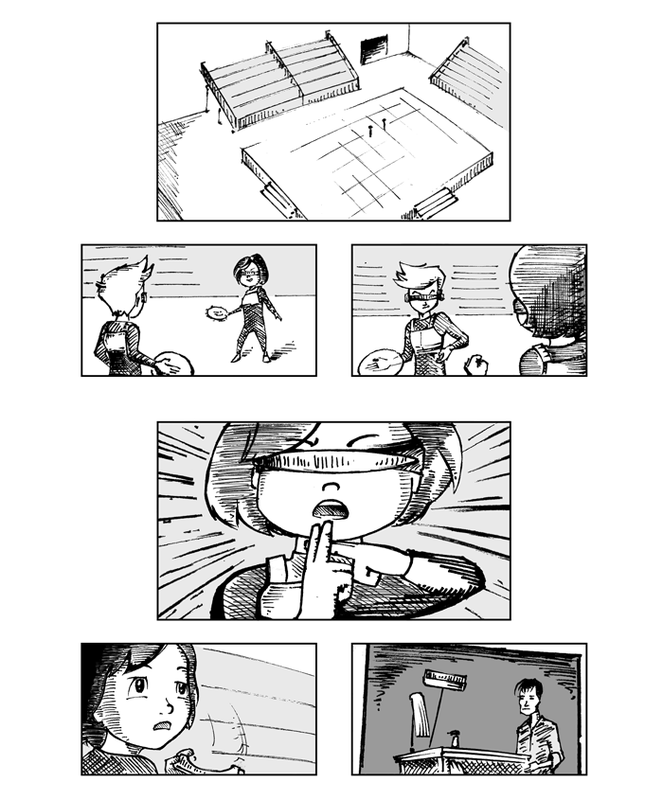 This is a tale of a rich boy and a poor girl, their promise to draft the supreme virtual-reality blitzball team, and his jealousy when she turned out to be better than him at his own game.